A few months ago, I cut a big bunch of my brown paper scraps using a variety of dies, mostly Spellbinders and Quickutz. They have been sitting on a pile on my desk for a while, and last night, I thought of making a mini scrapbook out of them. 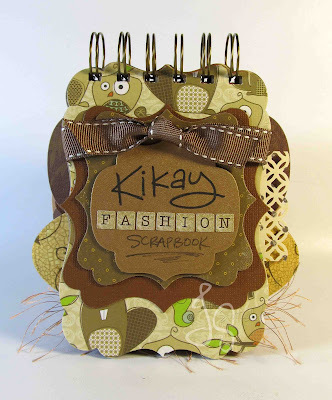 I will consider this one of my green projects, as 90% of the materials used in this scrapbook are leftovers. Because I cut with different kinds of dies, putting the pieces together was quite easy. It took only one night to finish. And before I start filling it up, I would like to share it with you. 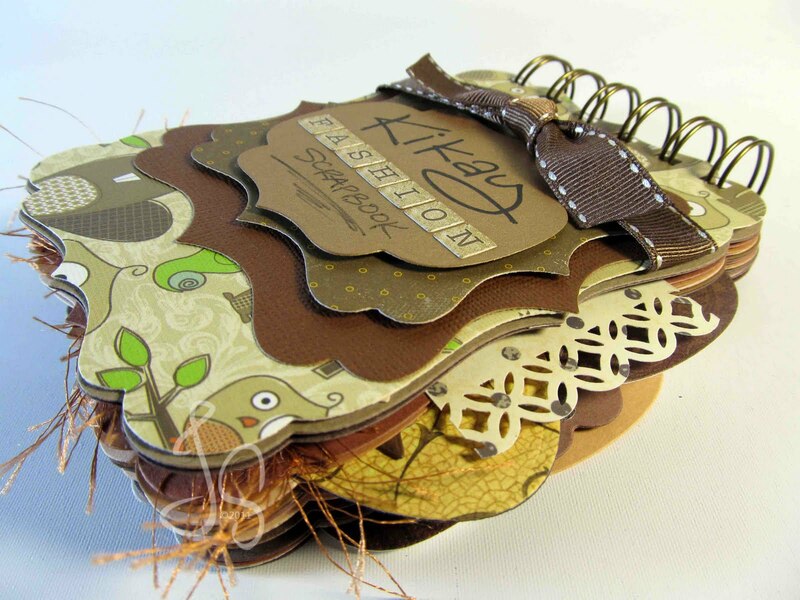 To be honest, I didn't know what kind of a scrapbook it was going to be until I finished the album. 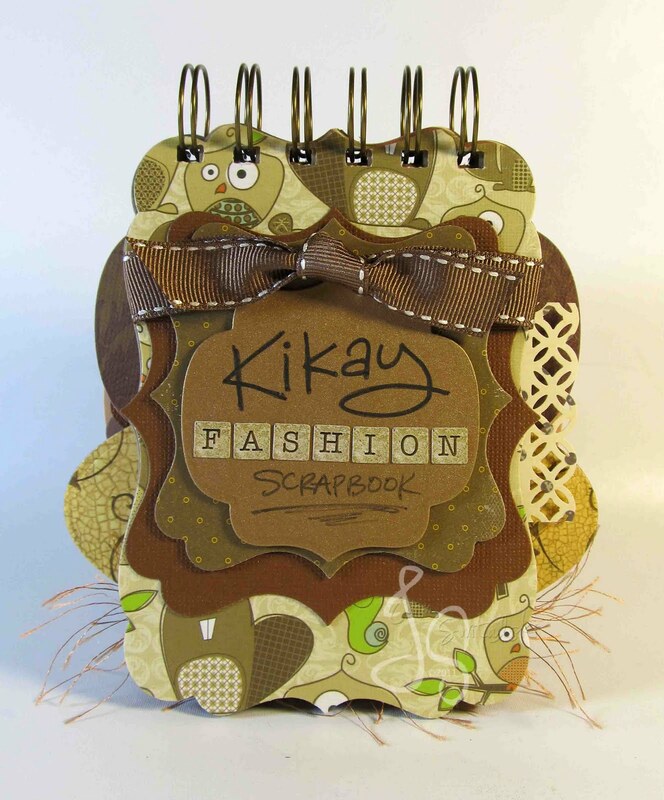 The first word that came to mind was the word "kikay" which is a Filipino world that has been associated with fashion and trendy things. You can see the entire scrapbook by clicking HERE.